Up until a few years ago, the thought of using a shooting stick while out chasing deer never crossed my mind. I saw others using them but thought, why do I need another piece of gear to tote around? Then I tried out a Primos Trigger Stick that a friend had and I saw what I was missing. Now I view a shooting sticks as practically a necessity for deer hunting certain terrain. After using my friends stick, I spent some time exploring the best shooting sticks of all types. I looked at monopod, bipod, and tripod shooting sticks as well as some that doubled as trekking poles. I even came across shooting sticks designed specifically for crossbows. This article summarizes what I learned about each type. What is a shooting stick and why should I try one? Shooting sticks are a type of rest used by hunters and shooters to help steady their weapon. They work great when you need to take a shot but are unable to get into a prone shooting position. They provide a solid platform to shoot from while allowing for quick adjustment when placing your shot. After researching many models and styles, here are the models I thought were the best shooting sticks for the money. I based my reviews on quality, value, durability, and portability. The Hammers Monopod is a great option if you want a lightweight, portable shooting stick. It adjust between 29-63 inches allowing for use in a variety of situations. It also doubles as a good walking stick and is a great option if you are on a budget. The biggest downside is that monopod designs are not as stable as the multi-legged designs. If you plan on using the monopod as a rest while making long, difficult shots, you may want to look elsewhere. The Bog-Pod bipod offers a more stable platform than the monopod and is still quick to setup relative to a tripod system. The standard model is adjustable between 21-40 inches and weights 19 oz. The Bog-Pod is well made and has no trouble supporting heavy rifles. The gun saddle is really nice and versatile as it is able to swivel. Getting on target with this model is quick. This model would also work well with a crossbow. The tall version is adjustable between 22-68 inches and weights 32 oz. This version is great if you plan on shooting from a standing position. Caldwell designed the Deadshot FieldPod for use with rifles and crossbows. It adjusts between heights of 20 and 42 inches. The build quality is very good. It is very sturdy and holds up well even when shooting large caliber rifles. The adjustments are smooth and it is still fairly portable at a weight of 6 lbs. You can use this model while sitting or kneeling. It also works well with spotting scopes and cameras. All of the Primos Trigger designs have a quick adjustment tigger allowing for easy, one hand adjustment. The tripod version is slightly on the heavy side at 3 lbs. but is lighter than the Caldwell and extremely well made. The height extends from 24-62 inches. This is a great platform for someone looking for a balance of stability and portability. Just make sure you get the Gen 3 model. Many hunters have gotten created and come up with various DIY configurations to turn their trekking poles into shooting sticks. If your shooting stick also doubles as a trekking pole it goes from something that is a burden to carry around to something that helps you while hiking. This has many benefits such as reduced fatigue, increased stability, and decreases your chances of falling and getting injured. A Trekking pole is a great option for backpacking hunters. This trekking pole on Amazon is designed to support various end attachments including a saddle for a rifle. It adjusts between 25-53 inches and weighs less than a pound. Shooting sticks for crossbows are very similar to shooting sticks for rifles. In most cases sticks for rifles will work for crossbows and vice versa. There are some models which are say they are designed for crossbows but from what I can tell this is mostly marketing. There are some exceptions like the TenPoint discussed below. TenPoint designed this monopod system specifically for crossbows. The stick actually mounts to the stock of the crossbow. This model works particularly well if you plan on stalking deer as it is lightweight (__) and very . It’s length is adjustable between 25-36 inches. You can still use it to steady your shot while standing by angling the stick and resting it against your mid-section. If looking for a more stable platform and you don’t intend on moving much you should consider the Caldwell Deadshot Fieldpod discussed above is a great crossbow shooting rest. 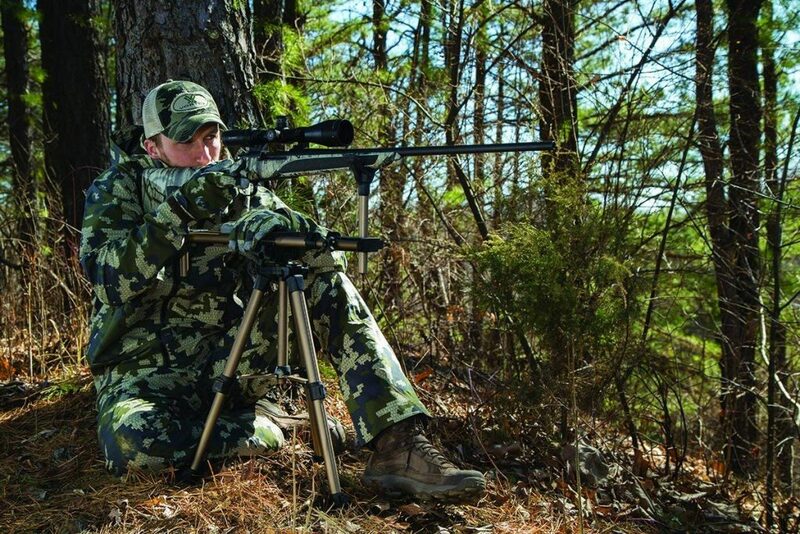 Your choice of shooting rest while deer hunting depends on the terrain you hunt. If you are backpacking or doing a long distance backcountry hunt you want to opt for something lightweight and portable. A trekking pole works great for this type of scenario, especially one that can double as a shooting platform like the Hammers Monopod above. If you plan on shooting a deer from long range you should opt for a tripod style for added stability. Imagine getting the opportunity to kill a big buck only to have your shooting rest not be steady enough to take a good shot. Make sure you are prepared for when opportunity knocks. Elk hunting can be downright tough. Elk can live in some very challenging terrain that often requires hunters to go beyond what the average deer hunter does to achieve success. 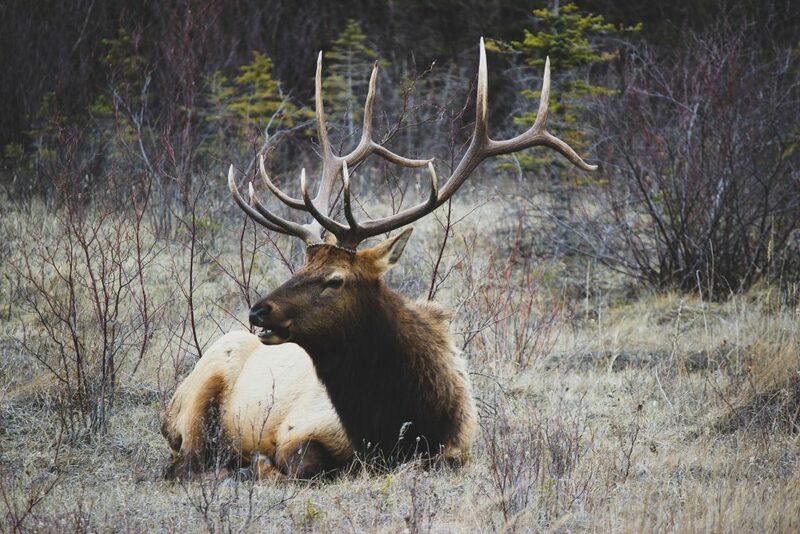 If you are hunting elk you should take every advantage you can to increase your chances. 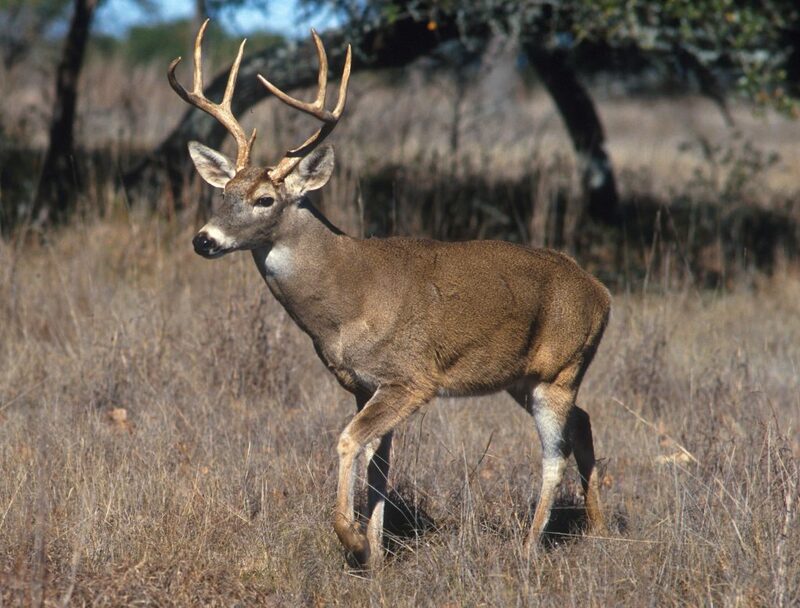 The best shooting sticks for deer hunting may not be the best shooting sticks for elk hunting. An additional consideration when hunting elk is the added stability while walking that a trekking pole could provide. This will take a lot of burden off your body when hauling out a massive bull elk. After packing out loads of meat you will notice you are less fatigued and your joints won’t ache as much the next day. Using shooting sticks while predator hunting is extremely popular, they are practically required. 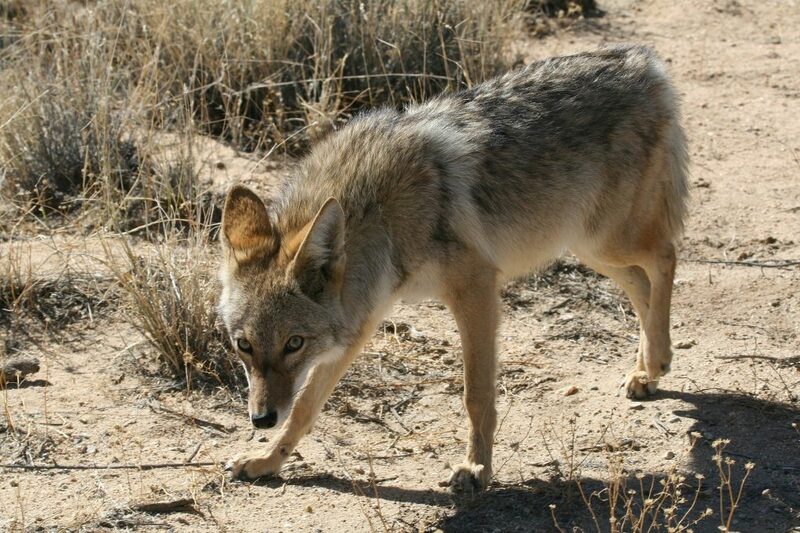 Hunting for coyote is often done is open country, rolling hills, and flat plains. In this case a tripod style like the Caldwell Deadshot FieldPod will work great. It provides a very steady platform for making shots of all distances. Can you use a shooting stick to support a spotting scope? Yes, any of the styles in this article are compatible with a spotting scope. A three legged shooting stick will provide the most steady platform but a monopod is usable. What to do if you find yourself without your shooting sticks? You will shoot most accurately if you are able to get into a prone shooting position. A backpack can work as a great rest when needed. If prone is not an option, try to find something like a rock or tree to use as a rest. Even if it isn’t ideal, you will shoot more accurately using a rest than offhand. Should you use shooting sticks or a bipod attached to my rifle? This comes down to preference. Some hunters prefer both. Both have their advantages. Shooting sticks are usually lighter and more portable while a bipod adds a significant amount of weight to your rifle. On the flipside, a bipod attached to your rifle will provide the most steady platform to shoot from when you need to maximize accuracy. For short to medium range shooting shooting sticks will work great. If you are hunting in tall grass, you should make sure your shooting sticks or bipod are tall enough to position your weapon above the grass. All the opinions in this article are just that, opinions. You will likely need to try multiple options and decide what will work best for the type of hunting you do. Take a few types of rests to the range to try them out. I found I was able to shoot tight groups with all the types in this article but the tripod designs produced the best results. The Caldwell Deadshot FieldPod will provide the best stability but it is a bit cumbersome to move around. For a lightweight rest, the Hammers Monopod is hard to top. Whatever you decide, best of luck and happy hunting.